Knock their socks off with this impressive gift basket! 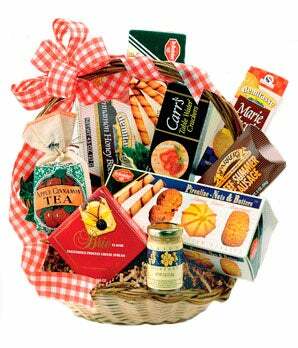 The Gourmet Goodies Basket is filled to its limit with delicious quality snacks in a beautiful keepsake woven basket. Decorative ribbon tops of this display, giving a rustic feel to this unique gift basket arrangement. Send today for same day delivery! Please note: gourmet snack variety may vary.